I was sitting here, brainstorming ideas for my “GM Bad Idea” segment, when it struck me: occasionally GM has a good idea. They’re few and far between, but they do occasionally happen, and the Saturn Astra is one of them. 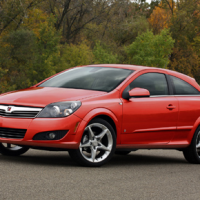 For those of you who don’t remember the Astra, let me refresh your memory. It all goes back to the 1990s, when Saturn’s entire car lineup consisted of the S-Series, a compact front-driver offered as a coupe, a sedan, or a wagon. Eventually, the S-Series was redesigned, and then turned into the Ion, which lost some of the high-quality charm found on the earlier models. It was around that time Saturn was expanding its lineup. They first added a midsize sedan, called the L-Series (and later, the Aura), followed by a compact SUV (the Vue), a minivan (the Relay), an SUV (the Outlook), and a sports car (the Sky). Unfortunately, all this meant that by about 2007, Saturn was just another GM brand with a lineup full of rebadges. Enter the Astra. Intended to replace the dated Ion, the Astra was sourced directly from the European-market Opel Astra. It was offered only as a 3- and 5-door hatchback, and it came out for the 2008 model year. Unfortunately, the Astra was too little, too late. Saturn was basically finished, and the Astra lasted for just one solitary model year. The brand died off shortly thereafter. So why is it a good idea? Well, the Astra was a neat car. It had distinctive styling, it handled well, and the interior was reasonably nice, if you got past the bizarrely buttony stereo. Plus, it was unique to the Saturn brand — and it gave people the opportunity to actually own one of the European hatchbacks that journalists are always clamoring for. If you’re in the market for a used hatchback, the Astra is worth adding to your shopping list. Parts will remain available, and the Astra is probably a little cheaper than it should be. Assuming, of course, that you can find one. I remember reading it had a 24-hour only clock. So Euro it hurts! If I remember right, wasn’t it one of the only cars ever offered in the US market to use a single combination hi/low bulb in a halogen projector headlamp- not accompanied by a traditional reflector housing for the high-beam? I know its a trivial item, but that’s an oddity that’s cool to me. I don’t know how many there are, but my 2005 Volvo V70R has a combo high low bulb. Very strange to use, because you can see the beam adjust upward, and not just switch to a new bulb. There are many cars with factory HID’s that change the pitch of the reflector with the application of the high beams. This car is not equipped with HID’s but a standard halogen filament bulb which I was referencing. On a side note, I LOVE your generation V70R. I’ll take a Titan Grey 2006-2007 6MT with Nordcap leather, please! I’ve always liked these cars. I just checked Autotrader and found a 3 door “XR” with a manual transmission(!) with 29k miles for less than 10 grand and within 25 miles of me. Would certainly be tempting if I was in the market for a car and could get another grand knocked off that price. 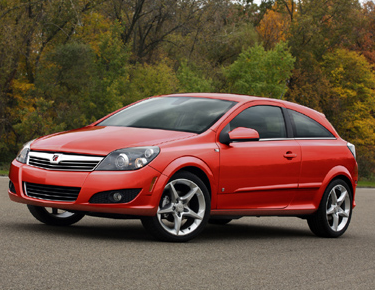 I’m looking at buying a used Astra right now and wondering if this is a smart move. How true is it that parts will be available in the future? I’ve read that oil filters must be special ordered for example. I’m the typical casual car owner and not interested in stocking up on car parts to keep it running. I have an Astra and oil changes cost me between $13-$20 at any GM dealership. I’ve had no issue getting parts except an air filter that had to be special ordered and shipped in from Portugal…cost me $23 total, so I have no complaints on this front. Let’s not forget two things: 1) they were very expensive; and 2) GM still lost a bundle on each car sold in the U.S. Doug, I think this may still fall into the GM fail category, unfortunately. I bought one of these new! It was a great car, but so low on power after coming from a VW GTI. The bright yellow radio screen was interesting and I was looking for a way to put in the color version from the “Euro” version. Anyways I should have kept it, but that Mini Cooper S was calling my name.